The tax office has clarified the process involved in registering an SMSF after some practitioners complained they were hitting roadblocks with certain banks over requirements introduced earlier this year. 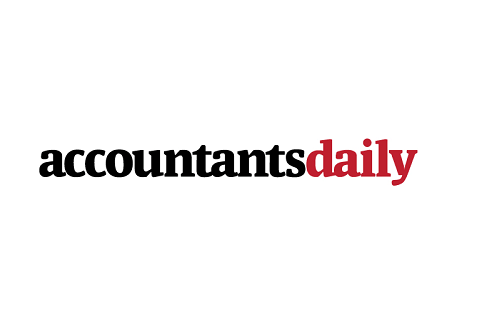 Speaking to AccountantsDaily's sister publication, SMSF Adviser, SMSF Association director of technical and professional standards Graeme Colley said individuals looking to set up an SMSF have been under the impression that they are required to set up a bank account before the fund can be registered by the ATO. “This has caused a bit of a chicken and egg scenario in that some banks will not allow you to set up a bank account [for your SMSF] unless you’ve got the ABN for your super fund,” said Mr Colley. An SMSF trustee, he said, will not receive their ABN until it is registered with the ATO. Mr Colley estimates around six or seven thousand funds are likely to have been impacted by the issue. An ATO spokesperson explained, however, that under the new requirements, an SMSF is not actually required to set up a bank account before registering, as previously understood, and is actually only required to have an asset. “For a trust to exist it must have ‘consideration’ - in other words, an asset. The asset does not have to be cash,” said the ATO. SMSF Adviser was also told that the tax office will “revamp” its website material to ensure the sequence of events is clearer to SMSF practitioners and potential trustees. Currently, the sequence of steps listed on the ATO website for setting up an SMSF positions setting up a bank account ahead of registering with the ATO. However, a webinar presented recently by the ATO also stated that setting up a bank account was one of the steps required for registering an SMSF. “It’s important to note that before an SMSF can be registered for an ABN, the fund must actually be established,” the ATO webinar said. “A separate bank account must be set up in the name of the SMSF; it must be clear that the SMSF fund is the owner of the fund’s assets - this means all assets must be documented as held by trustees on behalf of the SMSF,” it said. “[The ATO] needs to sort out that order and make it clear to people that are setting up self-managed funds,” said Mr Colley. While people setting up SMSFs could easily use publicly-listed shares as the asset or consideration for establishing the trust, most trustees want to use cash as the settlement amount, according to Mr Colley. Those looking to set up an SMSF should also be careful about using some types of assets as consideration, such as private shares, since they may attract stamp duty.